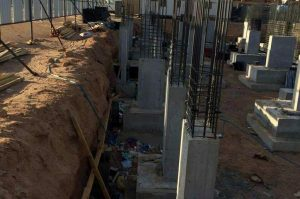 BOFU plastic formwork system is suitable for foundation, not only for column, but also for plinth or ground beam. 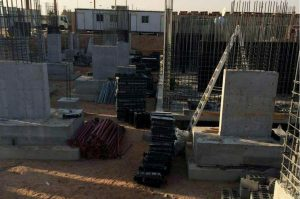 In Saudi Arabia, our clients use BOFU plastic formwork to make foundation, plinth. Because of the hot weather in summer, workers have to work at evening, when the sun is not so strong. 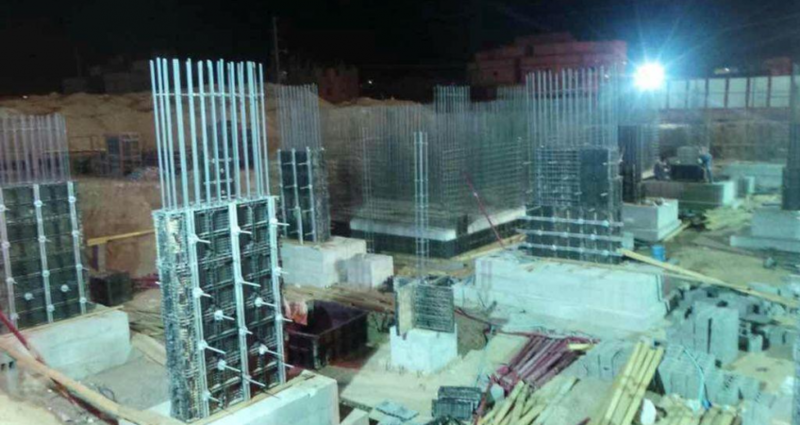 Summer in Middle East is not good season for building, but BOFU plastic formwork system still works well on such hot weather, the components of UV is the core value for the good performance. 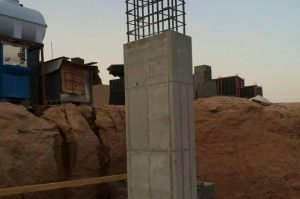 However, in order to enlonger the life of plastic formwork panels, we still suggest to use it at cooler condition, and to keep it away from directly sunlight. 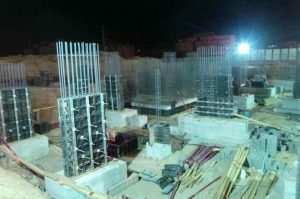 The pictures shows the processing of foundation building, and finished column by BOFU plastic formwork system.